Why does he want to crush our hopes and dreams of a free internet? 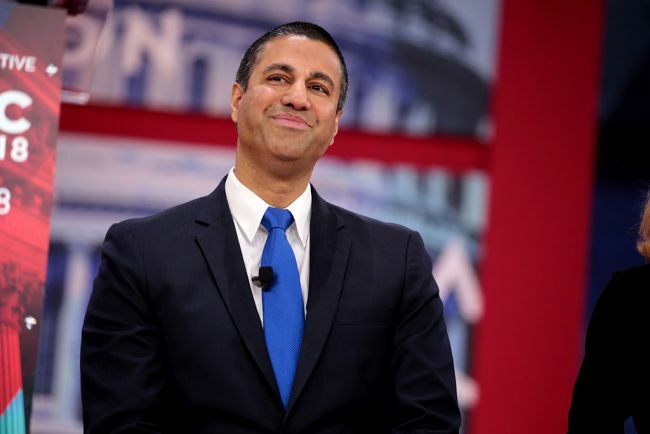 Ajit Pai doubles down on stance that states can't enact their own net neutrality rules. If it werent for the cold...i would consider it. Ajit Pai is to the FCC what Scott Pruit was to the EPA... and for basically identical reasons. Please, do not make threats or posts that could be considered a threat against US government officials. That is not protected speech and is actually a felony under US law. I am sure that you don’t want a visit from the FBI or the secret service. Someone should lock themselves in the back seat with this fine gentleman and let loose with the rotten flatus of our ancestors, stopping only when his will to live has been extracted from his soul. Some people deserve the justice that angry mobs will bring to their doorstep. Let's try to be civil about this discussion. I'd be more impressed if the people who spent the last few weeks openly purging wrong think from the internet weren't the same people telling me this is the end of the free internet. Because he was paid to felate big telcom. ^ Usually funny, but not when actually making a real life threat. Now if this post were about something in the SC universe, i might even advocate this. Are we slowly being introduced to a future similar to the novel of 1984? But ofc, both with net neutrality and with the EU link tax article, these fears might not ever really manifest in the real world, or at least not for long. Both have deep monetary implications, and if the money stops flowing, it might even take years, but they will probably change. Better start practicing my new think.